Pros: Exciting scientific information, interactions, and visuals draw kids in as they interact with ferocious, but not too scary dinosaurs. Cons: The music may be a distraction for some kids. 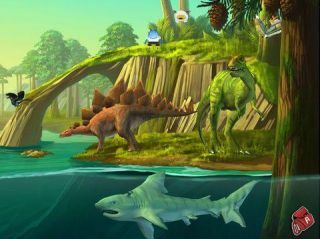 Bottom Line: Second app in dinosaur trilogy is full of interaction and information.